Leader of the Virgin Islands Party (VIP), Hon. Andrew Fahie believes that voting for the National Democratic Party (NDP) is rewarding them for being corrupt. During a rally held on North Sound, Virgin Gorda (VG) last evening, February 10, Hon. 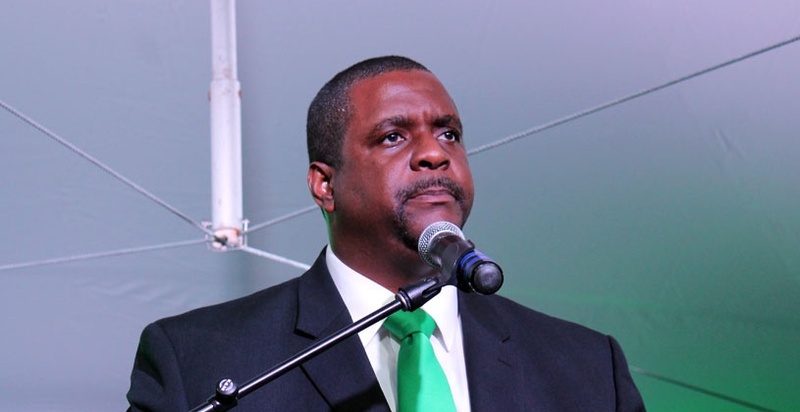 Fahie pointed out that through his persistent questioning in the House of Assembly, he was able to discover some $244M worth of misuse of tax payers’ money. He said that he now understands why the NDP uses the term ‘ching ching’. “I just give you $244M worth of ching ching that I was able to discover in the House of Assembly. You see why they want to try to see if they could tarnish me because their corruption was exposed. I am telling you I make no apologies for it, up to now I cannot understand how they still walking around with anybody holding them responsible for this $244M worth of unexplainable money,” he said. “I have too many facts to condemn them…You cannot reward this government by giving them a third term,” he added. Hon. Fahie denounced comments that his party has no real plan to grow the economy. He said that plans are being put forward by him and his At-Large team. “They want you to list the plans and just leave them alone…We must understand why they accustom to saying ching ching because they accustom of adding up your money without giving you any value for money,” he stated. In relation to the $244M, the First District Representative mentioned the diversion of $8M from the East End/Long Look sewerage project to the cruise pier project; over $40M in overrun for the cruise pier project; $16M to repair roads; $15M on consultancies for the proposed TB Lettsome International Airport Expansion; and the $7.2M for BVI Airways among others. “They do an El Chapo, come up right under the vault and every minute they going with the money and the people didn’t know until I went to the House of Assembly and get the answers. $16M for affordable homes, anybody get any one of those homes yet? but the money gone,” he said. Hon. Fahie also mentioned millions in lawsuit payouts. The VIP leader told residents on the sister island that, the Territory does not have a money problem but an accountability and priority problem. I’m not voting for Fahie. Where is the audit? Mr Policeman Boss where are the results of your investigation?